The U.S. Consumer Product Safety Commission (CPSC) issued a statement yesterday warning parents and caregivers away from Tots in Mind crib tents and play yard tents. According to the statement, the CPSC has recorded 27 tent failures. One of these failures resulted in the death of a toddler in 2008, after he became trapped between the frame and a rod at the tent’s base. Another child suffered a catastrophic brain injury in 2007 after the crib tent inverted and the rod trapped him by the neck. In another incident, the CPSC said a parent found their child turning blue after becoming trapped between the product and the top rail of a play yard. 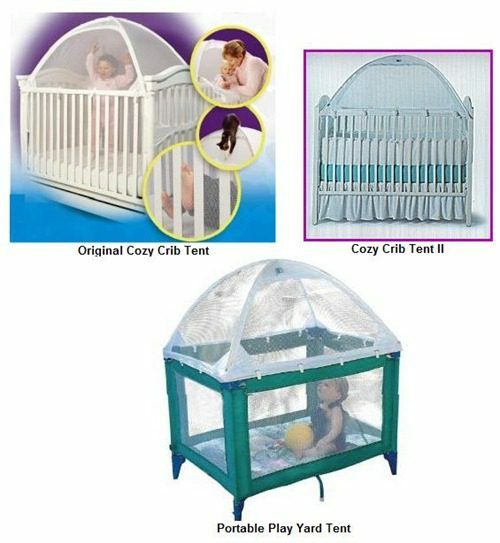 The recall includes several different models and is being done in cooperation with major retailers that sold the crib and play yard tents. The manufacturer has gone out of business and is not a participant in the recall. The participating retailers that the tents were sold through include Amazon, Bed, Bath and Beyond, the Burlington Coat Factory, Toys “R” Us, Babies “R” Us, and Walmart. The CPSC said the tents should be returned to the point of purchase where the shopper can receive a refund or store credit, depending on the store’s policies. The same tents were subject to a July 15, 2010, recall. At that time, the manufacturer offered a repair kit to address the problem. The CPSC said that because the manufacturer, Tots in Mind, Inc., is out of business, the repair kit is no longer available. The CPSC did not have model numbers for the crib and play yard tents, but supplied the image below to aid in identification. They also said the manufacturer could be identified by the label pictured at the top of this article.